By the time you’re reading this, the NFL Free Agency frenzy will be just about finished. But what a ride it’s been. From the Broncos agreeing to trade for (the elite) Joe Flacco to journeyman quarterback Nick Foles getting $22 million a year after spending the majority of his career as a backup, this year’s Free Agency window has been absolute pandemonium. The biggest story might be the Pittsburgh Steelers trading their best player for a couple of draft picks (third and fifth rounders) that may never end up even seeing the field (though Odell Beckham Jr. to the Browns is perhaps just as crazy). 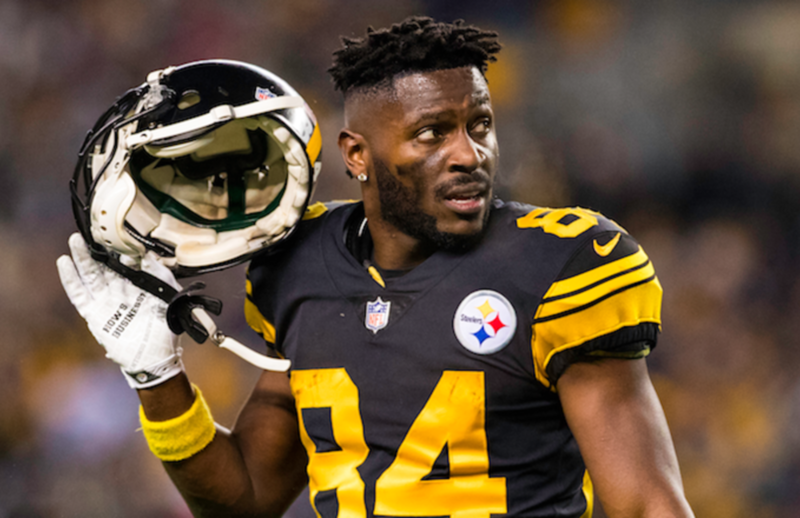 Last year, Antonio Brown made it clear he wanted out when he didn’t show up for the Steelers’ crucial season finale. Brown then went on to verbally attack Steelers’ ownership, coaching and most negatively, his quarterback Ben Roethlisberger, saying Roethlisberger was often critical of everyone but himself. The Steelers fired back, saying Brown had failed to be a team player for a long time, and accused him of being late to meetings and not showing up to practices. Brown then requested a trade, and his request was granted. Moreover, he got to choose his destination—and the terms on which he was dealt. Initially, the Steelers had a deal in place to send Brown to Buffalo. When his agent informed him of this trade, Brown made it clear he wouldn’t show up in Buffalo, so they backed out, despite the Steelers’ comments about Brown not getting to have a say in where he would be traded. Ultimately, the Steelers worked out a deal with the Raiders. Brown immediately posted his approval in the form of a photoshopped picture of himself in silver and black. Brown also got to rework his contract with the Raiders and went from about $38 million to about $50 million over the next three years. More importantly, it increased his guaranteed money from $0 (yes, you read that right) to about $30 million over the same timespan. This trade represents a paradigm shift in the NFL. In the past, only quarterbacks have had this kind of leverage. I’d bet NFL owners are petrified about what their star players might request next year, now that a precedent has been set for players on how to handle unfavorable contracts. Overall though, I think this is actually a good thing. It means players will likely be able to demand more favorable contracts and teams will no longer be able to take advantage of players on deals with little money guaranteed. Tyler Dean is a senior studying finance and math.